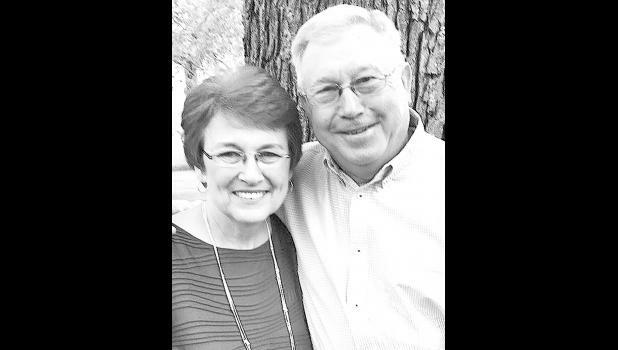 Dan and Carol (Wilson) Pollock of rural Havensville were united in marriage 50 years ago on June 8, 1968, at the Gower Baptist Church in Gower, Mo. They have three daughters, Dana Kemp and her husband, Ian, of Austin, Texas; Carrie Baxter and her husband, Matt, of Hutchinson; and Sara Philipi and her husband, Danny, of Topeka. The couple also has eight grandchildren, Caris and Presley Kemp; Charley, Reese and Mitchell Baxter; and Bryson, Elle and Winnie Philipi. The couple will celebrate their anniversary with a family vacation this summer.